Medical groups have raised concerns about long-terms problems kids could face. Medical groups and international advocates have said the policy of separating children from their parents under the "zero tolerance" immigration policy, could do significant harm to both their physical and mental health. “Separating children from their parents contradicts everything we stand for as pediatricians -- protecting and promoting children’s health," American Academy of Pediatrics President Dr. Colleen A. Kraft said in a statement. The American Medical Association issued a resolution last week at their annual meeting in Chicago. They cautioned that separating minors from their caregivers "only serves to dramatically exacerbate" the stress that families seeking refuge in the U.S. already experience, adding it can "create a negative health impact that will last an individual’s entire lifespan." "It’s inhumane and risks scarring children for the rest of their lives," AMA Board member Bobby Mukklamala said in their statement. What exactly are these health effects? Many are related to something called adverse childhood experiences, which includes forcibly separating a child from their caregiver and the effects of the toxic stress this creates for the children. (AFP/Getty Images) This US Customs and Border Protection photo obtained June 18, 2018 shows intake of illegal border crossers by US Border Patrol agents at the Central Processing Center in McAllen, Texas, May 23, 2018. What are Adverse Childhood Experiences and toxic stress? Adverse Childhood Experiences, or ACEs, are “potentially traumatic events that can have negative, lasting effects on health and well-being,” according to the nonprofit group Child Trends, and can be physical or emotional events. The Centers for Disease Control and Prevention has found that brain development is usually disrupted first, followed by social, emotional, and cognitive impairment, which affects everything else. Children are then more likely to try “high risk behaviors,” which are associated with early disease, disability and social problems as these children age. Toxic stress, as defined by the Center on the Developing Child at Harvard University occurs "when a child experiences strong, frequent, and/or prolonged adversity." "Early experiences [such as forcible separation] get into our bodies and affect brain, immune, cardiovascular, and metabolic systems. It has a multi-system effect, from disrupting brain architecture, which impacts learning and emotional development, to affecting how well our immune systems fight infections,” Center on the Developing Child Director, Dr. Jack Shonkoff, told ABC News. Shonkoff adds that there is research suggesting that insulin resistance, atherosclerosis, and the risk of metabolic syndrome go up with prolonged ACEs. Sensitive and responsive caregiving -- both of which are removed in forcible separation of caregiver and child -- appear to buffer these effects. Why does this policy matter to children’s health? The United Nations Children's Fund warned of the dangers faced by children who are separated from their parents at the border. “There is a documented impact of being detained. There is fear and anxiety, and we must not forget that these are children first,” Caryl Stern, CEO of UNICEF USA said in a previous statement. "Parents and caregivers are a steady force in these children’s lives, so when they are effectively ripped from the arms of their protector, of course that is extremely worrisome." Stern points to the additional health effects related to releasing these minors to sponsors who may not be suitable caregivers -- and the risk of releasing minors into the custody of human traffickers. The Department of Health and Human Services documented the issue and the need for protections of unaccompanied refugee minors in report to the U.S. Senate. In addition, there are something called ‘push’ factors that have caused migrants to flee their home countries. Ashley Ham Pong, an Associate Attorney at Montagut & Sobral in Washington DC, has worked with detained children for more than three years and now works with both accompanied and unaccompanied children. "In many cases these migrants are fleeing immense risks in their home countries -- for instance gang violence in Central America -- is a major push factor which we know affects children’s health," Ham Pong told ABC News. "We’re also calling on officials to do extensive background checks into the sponsors who may be receiving these children, and to allow for due process," Stern said. Her concerns were echoed yesterday in a rare move by the United Nations Refugee Agency, which emphasized the need for family re-unifications. "There are effective ways to ensure border control without putting families through the lasting psychological trauma of child-parent separation," UNHCR’s Filippo Grandi said in the statement. 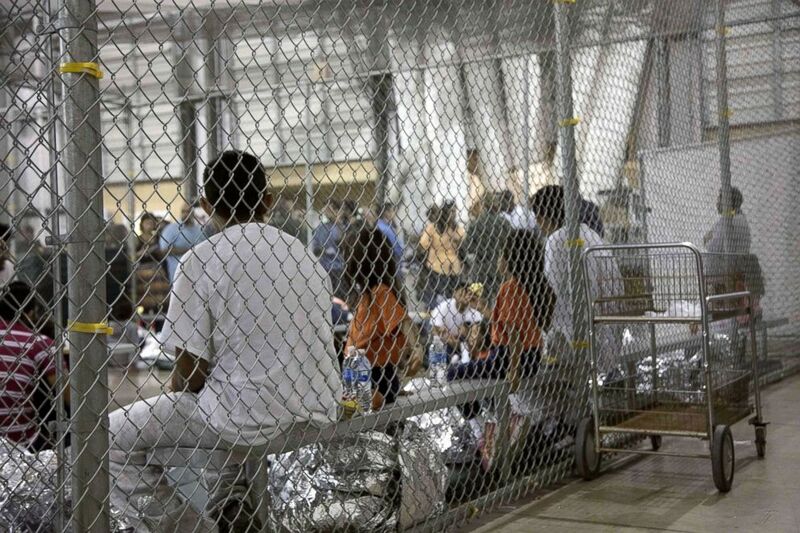 In lieu of additional programs aimed at serving detained and separated children, some experts are pointing to a more obvious solution to prevent the devastating long-term health impacts on these minors. "We know that the most important predictors of positive outcomes in the face of childhood adverse experiences is a protective adult-caregiver relationship," Shonkoff said, "The easy answer here is simple: Just don’t separate them, and if they are separated they should be brought back together as soon as possible." Amitha Kalaichandran, M.D., MHS, is pediatrics resident at the University of Ottawa who works in the ABC News medical unit.